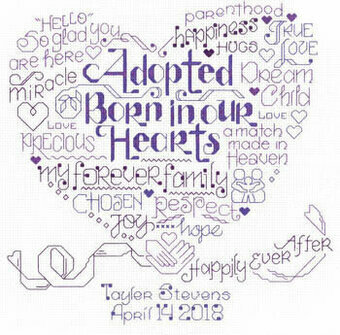 "Adopted, born in our hearts." Model stitched on 14 Ct. White Aida with DMC floss. Stitch Count: 129x127. Designed by Ursula Michael.